My name is Tatjana. I recently passed the IELTS exam with an overall band 8. Andrew from Crown Academy of English has asked me to share with you my experience of preparing and taking the IELTS exam and also to give you some advice. Andrew: Hello Tatjana. 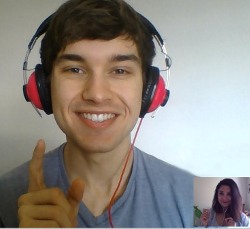 Thanks for taking part in this IELTS interview for Crown Academy of English. Please tell us about yourself. Tatjana: Hello Andrew. It’s a pleasure! My name is Tatjana, and I am 26 years old. I was born in Bosnia and I live in Serbia at the moment. 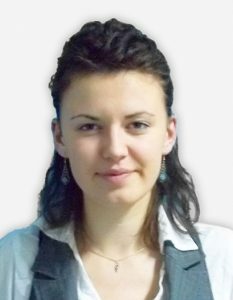 Tatjana: I took the IELTS exam in 2011 in Serbia. Tatjana: My overall score was 8 and my individual scores were 8.5 (Listening), 7 (Reading), 8 (Writing) and 8 (Speaking). Tatjana: I spent less than a month preparing for IELTS, but only because English was my major at University so I already had about 3 years of training in the intricacies of the four skills. I was studying alone, about 5 hours each day but for speaking I was working with a friend. For both listening and reading, I practised with lots of mock exams. I went through all the possible forms of exercises so that I wouldn’t be surprised by anything in the test. For the writing, I drilled myself to produce essays in the hour we are given in the test. I equipped myself with typical handy phrases such as ‘sudden plunge’, ‘steady increase’ for the first task and as many ‘furthermore’, ‘therefore’, ‘I am of the opinion’ and other fancy phrases for the second task. Tatjana: Those frustrating moments when I was sure A was the answer and it turned out it was B. In these situations, I would read any explanations provided and try to really open my mind to them. It took me time to read the question and offer alternatives in the listening part BEFORE the recording was played, and I knew that mastering this strategy was the key to nailing this part. Another problem was reading the graphs for the writing task- I was lousy at interpreting them so it took me a while to get the hang of that. I was also too scared because I knew I started preparing the whole thing too late. Tatjana: With listening, I was good because I succeeded in nailing the skill of reading everything before the recording. If there was no time, I underlined the key words in the current question, just to know what I was listening for. Writing went smoothly. I knew I was super anxious and worried I’d be short on time. I think my graph description was a lot shorter than it should have been, so I was worried about that. Reading was the most problematic because I got confused with the form of one exercise. It was some matching exercise and I lost my focus for 5-10 minutes and it was enough to get a mark less. Speaking was a very sweaty experience for me. I knew that the trick was to use lots of varied vocabulary and go on speaking until they interrupt me. Their questions were strange, something like, “What do you think of the sea?”, so I used that ‘secluded beaches’, Lonely Planet guide vocabulary, and a couple of those time-buying phrases such as, “That’s an interesting question, let me think about it”. In the end, I thought it would be a mess, but I got 8. I remember that everything was blurry at the end of the exam day. My mind was completely empty and I hit a coat hanger on my way out of the exam! Tatjana: It was only because of my very long previous experience in learning and speaking English that I was able to prepare for the IELTS in quite a short time but I definitely don’t recommend that for other students. 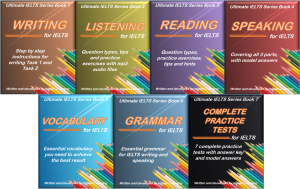 – The IELTS is hard and needs a lot of preparation. If there are weaknesses in your English skills, then you should really take an IELTS preparation course with teachers who have experience of teaching the IELTS exam. You must get feedback, comments and corrections from a qualified native English teacher. When you are studying alone, you don’t know if you’re making mistakes. Even if you think you have a good level of English, you must still learn the best exam techniques for the IELTS. 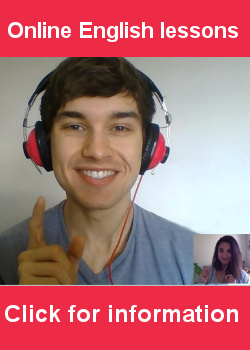 An online IELTS course is a good idea because they are quite cheap and you can work as quickly or as slowly as you want. Advice for the exam: IELTS examiners care about you being coherent and logical both in your speaking and writing. So always make a draft first, think A LOT about organising what you want to say or write. And don’t write too long sentences. Breathe a lot. Remember that you’ve been through it all so there is no need to panic. When it comes to listening, a lot of hints are hidden in the intonation of the speakers. So, be very receptive to that. Other advice: IELTS is a skill and you can master it. Be familiar with all the exercises forms and templates, so that you spend minimum time figuring out what you need to do in the very test. IELTS is a mind-tiring experience; you need to get your brain in shape for such a huge cognitive load. Drill yourself. Do a lot of 4-hour IELTS simulations with small breaks, just as you’d have them in the real test. This goes especially for writing. Write abundantly. Good luck!